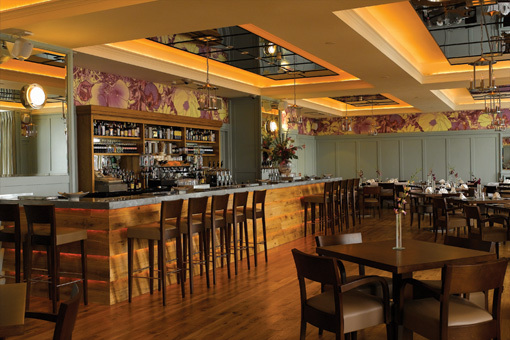 Coast Restaurant and Bar is at the Claremont Hotel in Douglas on the Isle of Man. Matthew Godley teamed up with Meath Baker design to create this 56-bedroom boutique hotel. The theme was inspired by the islands arts and crafts heritage and the designs of Archibald Knox. The original mid 19th-Century hotel was extended through to neighboring buildings and conference wedding facilities were created in the lower ground floor.